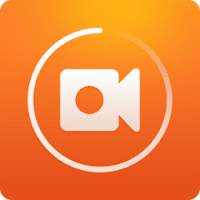 DU Recorder is a free, stable, high-quality screen-recording app that helps you record smooth and clear phone-screen video. With a variety of features and no rooting needed, DU Recorder provides an easy way to record screen videos, like game videos, call videos, live shows, and more - making everything simple! With DU Recorder, you can take a screenshot in just one click. With just one hand. No more double-press and hold. Quick and easy! You can also share your screenshots or use in-app image editing tools to stitch and crop local images. ------ Easily check recorded videos via floating window and notification bar. ------ Share videos to video sites and social sites. Share your recordings with friends! ------ Modify video titles on local video page for better management. If you have any comments or suggestions on DU Recorder, please contact us at gameshowdu2015@gmail.com. We appreciate your feedback!